CSI- Communication and Leadership provides presentations and workshops on topics related to public speaking and interpersonal communication. To request a presentation, submit a request form. A staff member will contact you within 3 to 5 working days to discuss your program goals and confirm if we are able to accommodate your request. Presentations are free of charge for audiences where a majority of the attendees are UCSD registered students or university faculty/staff who work with UCSD registered students. Presentations must have a minimum of 10 participants and must be at least 50 minutes long. Groups can request up to a maximum of 2 hours of OnDemand Presentations per quarter. Please provide at least 2 weeks notice prior to your requested date(s) for scheduling and planning purposes. Need help planning your own presentation? We now provide 30 minutes of free consultation to interested groups. Please complete the request form and our staff will review your request and be in touch to schedule your complimenatary conslutation appointment! These workshops will focus on how individuals collaborate and contribute within groups and help participants understand the factors that influence group performance. 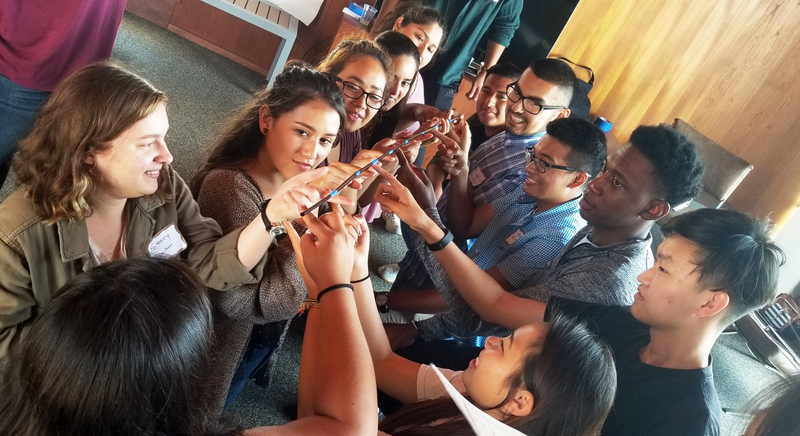 Students will take a self-assessment and will engage in interactive activities and discussions to gain awareness of individual work styles and tendencies, values, or strengths, while focusing on teamwork, critical thinking, and collaboration. These workshops focus on providing participants with information and strategies to effectively present or facilitate in front of an array of audiences. Students will learn about best practices on preparing and delivering professional presentations, group activities, and/or discussions. Need a workshop that is not listed? We are more than happy to work with you to design a workshop of your choosing. Previous workshops have covered topics such as conflict management, decision making, teamwork, and getting involved. All workshops must be a minimum of 50 minutes and no longer than 2 hours. Contact CSI-Communication and Leadership, (858) 534-0501.